…or at least it feels like it. It is only March 16th and so officially spring does not start for a few more days, but at 75 degrees you could have fooled me. With the warm weather, budding trees, first daffodils popping out of the ground, and the extra hour of daylight we gained last weekend, I am switching out my “winter” home for a “spring” home. Just a few little changes can transform your home and your outlook from the winter blahs to a spring awakening. Spring Clean. Go through and clean your whole house! Wash windows, clean bedding, mop the floors, dust (don’t forget the ceiling fans), clean baseboards, wipe down doors, clean out frig and freezer. Do as much or little as you want, but the cleanliness will leave your house smelling fresh. Switch out your furry winter accent pillows and throws for something lighter weight both in fabric and style. Be sure to wash the throws before you store them. Start planning your spring front porch. Nothing gets me more anxious than waiting for the plants to arrive at the garden shops. I admit I already bought a fern. Probably a sure-fire way to guarantee snow within the next week. Just watch the weather and be sure to bring in the precious cargo if it gets too cold. Switch out your winter clothes. I don’t know about you, but I refuse to wear winter clothes once March arrives. There are plenty of spring sweaters & options if (when) we get those rollercoaster temperatures. Now is the perfect opportunity to scrutinize your clothes. Does anything need repair? Consider donating items that no longer fit, is no longer your style, or you just don’t need anymore to Goodwill. Remember to get a receipt for a tax write-off. Also, donation centers typically don’t want off-season clothes so wait until you switch out again next fall to donate your fall/winter clothes. Candles and Scents update. Switch out your cinnamon and pine scents for something that says “Spring”. Lilac, Fresh Linen, Clean Rain, Lemon Verbena all invoke a fresh smell just by their names. Just wait until you light them! I like the plug-ins as well, in strategic places (front & back doors, basements, bathrooms). I especially like the brands that have a dial so you can control the strength. You want just a tickle of scent not a punch. Put out fresh flowers. Seeing a bouquet of flowers, makes me smile and lightens my mood. I like to buy the 3/$12 packages at our local grocery store. I am able to make one large arrangement or several smaller ones to put around the house. Stemless wine glasses or pint/quart mason jars make terrific vases. Try something out of the ordinary for a vase like a mug or pitcher. Use your imagination. 7. As you begin your winter to spring transformation, start your “to-do” lists of things to do and remember to put them on your calendar to schedule them to make sure they get done. ALERT: As I am writing this the weatherman is warning us of a 70% chance of snow this weekend. Yikes! 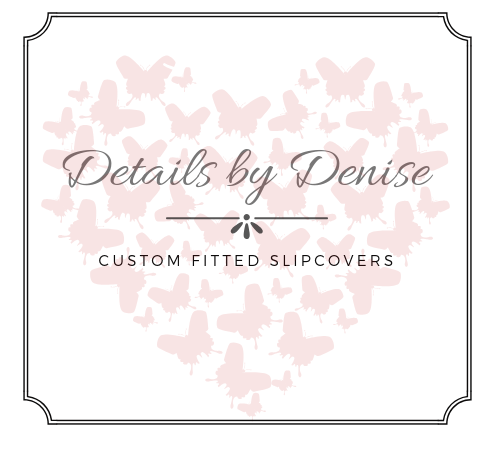 If you need help organizing, need a custom pillow or a new cover for your chair, I would be happy to help. Be sure to check out my Services pages. I am still working on the pricing schedule but since I am just starting my business. I will be giving GOOD deals in exchange for referrals, reviews and experience.